If you missed my post explaining where Cook Islands is, click here. Whenever I decided upon a place to stay on my trips, the first thing I look at is Instagram. I like to see what the property offers and who's stayed that (that I either follow or know). I also want to make sure the accommodation is picture worthy. 1. KSOLE has always wanted to go camping and I've always been hesitant, avoiding the suggestion over and over again. Yes, I'll admit that I prefer the luxury and comfort when it comes to my sleeping quarters. So, I compromised by choosing the glamping option available at Ikurangi Eco Retreat. 2. I wanted to experience the island in a different perspective. 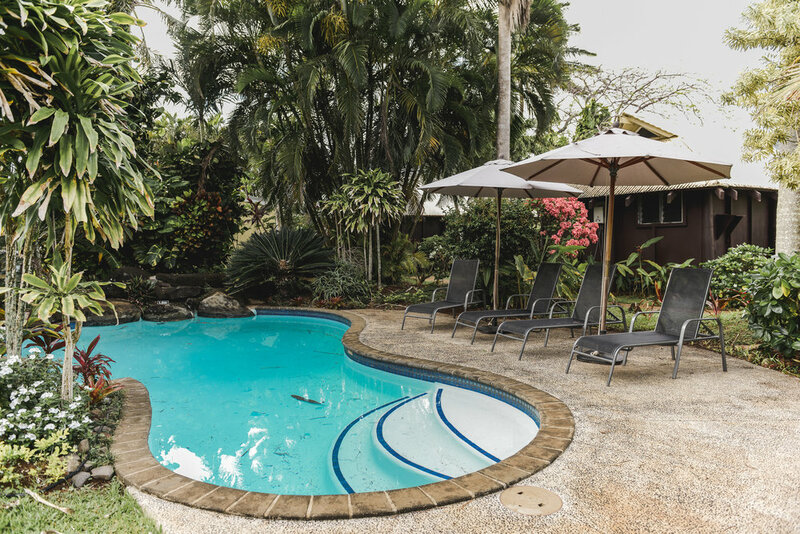 The retreat isn't in the center of town and it is the only eco retreat on the island. I've never stayed at a place like this before and wanted to see what it had to offer. To my surprise, I preferred it much more than most hotels especially their daily breakfast. Freshly delivered every morning, between 8AM to 8:30AM, Ikurangi has an array of delicious items made with ingredients they grow around the retreat. From the bananas and pineapples growing on the property to the freshly baked muffins and breads, it was great to wake up and see our breakfast waiting on the porch for us everyday. While I opted for the glamping lifestyle, I quickly found out that I could not survive it. Don't get me wrong, the luxurious tent we had the first three nights was amazing. With a king bed, cozy robes, and a beautiful outdoor shower, it was definitely perfect. Unfortunately, my blood attracts bugs easily and within those couple of nights, my legs were bruised up with bites. I also am a light sleeper so with the winds that occur and the roosters that cackled randomly, I couldn't get a full night's rest. Thankfully, Luana (owner of the Ikurangi) was super sweet and made a quick change for us to a bungalow where we spent the rest of our week. The bungalows on the property are just as spacious and are situated right across from the tents. 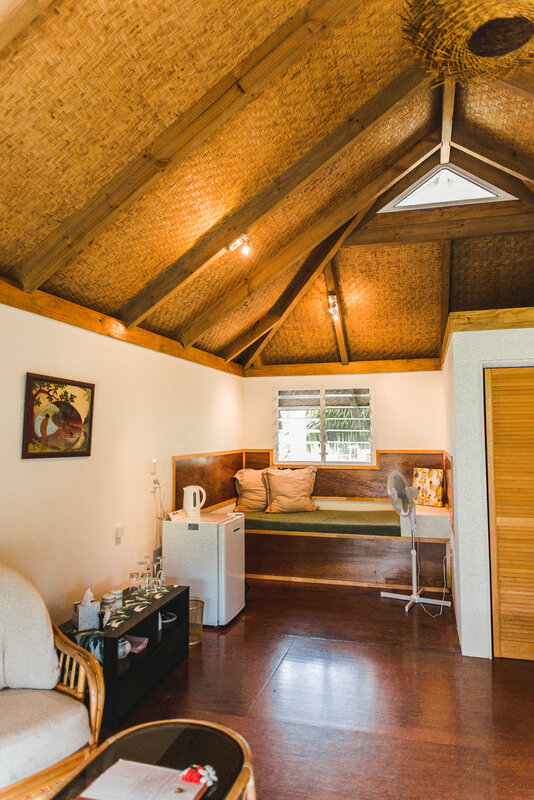 Unlike the tents, the bungalows have indoor bathrooms, a reading corner, and mini living room. I felt a little safer from the bugs in the bungalow (haha). 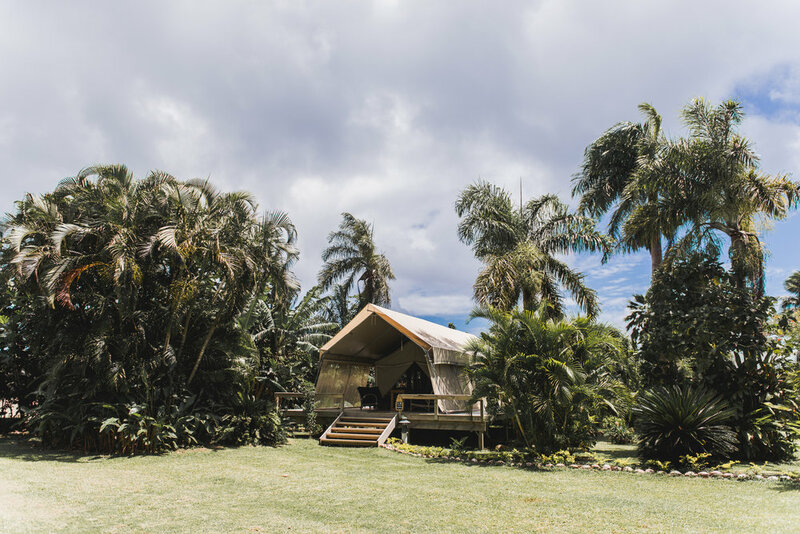 Aside from the fact that the property is gorgeous, tucked away, and only has 7 "rooms", Ikurangi Eco Retreat also is an optional wedding venue. Just look at how lush and beautiful the property truly is! FYI - the bungalows are to the right of the pool and the tents are out of the frame, but are to the left of the pool. In addition to having the most peaceful (aside from the roosters) stay, Ikurangi also gave us a gift in celebration of our 5 year anniversary - after seeing it mentioned on Instagram. Talk about being super sweet and attentive! We cannot recommend this place enough as it is one of a kind and just think about it, you can stay in any high end, luxe hotel any where but how often do you get to glamp on a beautiful property like this? Thank you so much to Luana and the staff at Ikurangi Eco Retreat for treating us just like family and taking the utmost best care of us while we were there. We cannot wait to return in the future.